You have reached the limit of the websites that you can activate. Home › Forums › Everything Else! › You have reached the limit of the websites that you can activate. This topic contains 4 replies, has 2 voices, and was last updated by admin 1 year, 5 months ago. I have upgraded one of my licences from 1 site 10 forms to 2 sites 10 forms. But when activating the license in second site, it said “You have reached the limit of the websites that you can activate, You have 0 sites and 4 forms left”. Currently I only activate the license in one website, it means I should have 1 remaining site to activate. It is weird, the order number did not appear at my order page. 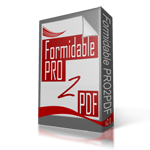 I did it yesterday, 10th November and it was successfully via PayPal, US$16 paid to Formidable PRO2PDF. Thank you for providing the screenshots, we have corrected the account. Let us know if you have any further issues. Reply To: You have reached the limit of the websites that you can activate.